We have an exciting GP job north of Wellington, New Zealand's capital city. Wellington was ranked the 4th best place to visit in the world by Lonely Planet in 2011 and 15th in the "2018 Quality of living Rankings"
New Zealand is becoming more and more a location of choice for those who previously considered Australia as the most desirable location down under. 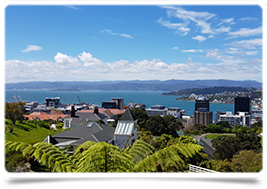 Its rapid growth compared to other developed countries has recently seen it ranked in the "2018 Quality of Living Rankings" Auckland was voted 3rd & Wellington 15th best city to live and work.